ICA Fund Good Jobs joins forces with SOCAP. 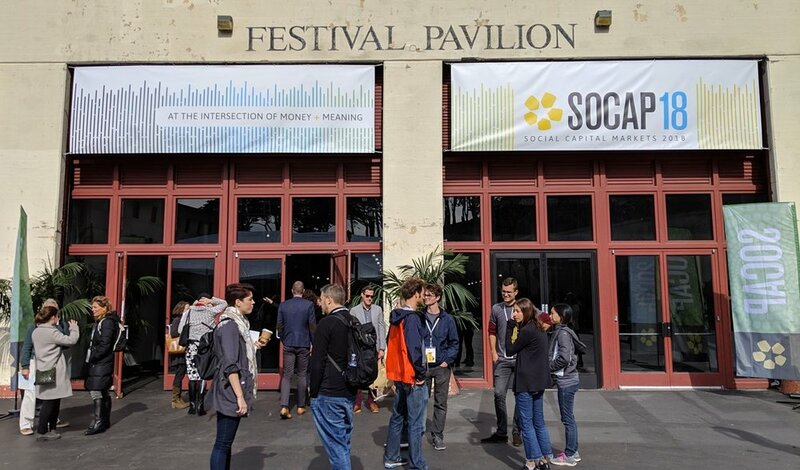 San Francisco – At the end of October, ICA Fund Good Jobs joined SOCAP 18 - the Social Capital Conference at Fort Mason in San Francisco. Members of ICA Fund Good Jobs staff have long attended the conference, now in its 12th year, and some of our companies have participated in years past, but this was the first year of official partnership between our organizations. The ICA Fund Good Jobs team joined many inspiring organizations, entrepreneurs, and funders in the impact investing and social entrepreneurship spaces. In addition to having a constant presence at the conference, on October 23rd we hosted a celebratory reception, and later in the week Ingrid Jacobson joined a powerhouse panel on investing for racial equity. Bridging the Bay, our reception, hosted on the at the beautiful Museo Italo Americano, just steps away from the main SOCAP events, was a big success. Over 120 registered joined many walk-ins from the conference, for a night of networking, entrepreneurship, and delicious food catered by Red Door Catering. The event was sponsored by generous support of our Board and our friends and partners at the Kapor Center. [PHOTOS] – click here to see photos from the event. Our efforts at SOCAP didn’t end with the reception. Later in the week, Director of Regional Strategy and Partnerships, Ingrid Jacobson joined a powerhouse panel titled, "Investing in Local Enterprises for Racial Equity", with leaders from across the country all working to create economic and small business opportunities for their communities. The group – Allen Woods, Nwamaka Agbo, Mariel Cedeno, Rodney Foxworth, and Ingrid – discussed replicable strategies that work in their work and talked about how innovators across the country are adopting new approaches to build and then reinvest wealth locally. Older PostPhotos from Bridging the Bay, our reception SOCAP 18.